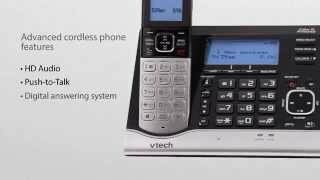 Receive alerts on your home phone when your garage door opens. Know if important areas are secure with magnetic sensors you can put almost anywhere, including windows, doors and medicine cabinets. Hear and see the message "door is open," so you'll know if you forgot to close it, or when someone has entered the house. Customize when you receive alerts: when the garage door or an object opens, when it has been open for more than a certain amount of time, or after a certain time of day. 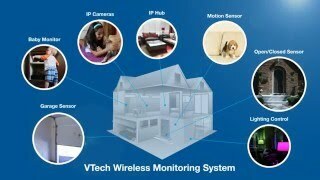 The VTech Wireless Monitoring System can call any number to announce programmed sensor alerts.